Another bracelet winner has been crowned at the King’s Casino in Rozvadov mere hours ago, as Michael Addamo managed to emerge victorious from the 133-entry field in the 2018 World Series of Poker Europe (WSOPE) €25,500 No-Limit Hold’em High Roller. After returning to the second day of the High Roller event as a chip leader, the Australian poker player managed to keep his pace in order to be crowned as the event’s winner and take home the first-place prize of €848,702 ($965,750). 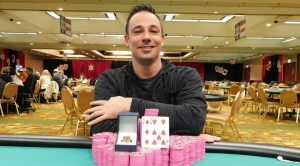 Apart from the lion’s share of the €25,500 High Roller prize pool, the victory brought Addamo his second WSOP bracelet in 2018, as he also emerged victorious from the 2018 WSOP $2,620 NLHE Marathon event in June. 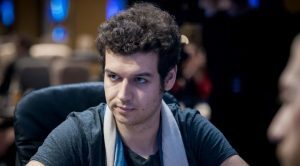 In addition, Addamo also generated his largest live cash so far, by scooping a €848,702 ($965,750) prize for his efforts, and boosted his all-time live earnings to more than $3 million. As Casino Guardian has already reported, the two-day €25,500 High Roller tournament started slowly, with only seven registrations at the beginning of the event. Eventually, the total number of entries rose to 133, surpassing the 113 entries of the High Roller event’s 2017 edition, making it the biggest High Roller event of that buy-in on the territory of Europe so far in 2018. The large number of entries accounted for an overall prize pool amounting to €3,158,750, which is more than triple the initial prize pool guarantee. Australian Michael Addamo entered Day 2 of the High Roller event as a chip leader, with a chip stack of 8,120,000. 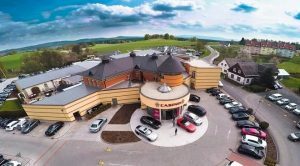 Despite that, Addamo was about to face the tough competition of some of the biggest names in the live poker arena being among the 49 players who returned to King’s Casino in Rozvadov for the second day of the tournament. 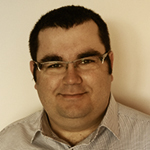 Addamo managed to keep his good pace, despite the stiff competition and made it to the final table. 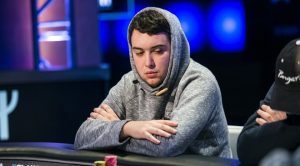 At the time the final table was formed, it was Benjamin Pollak who was at the top end of the leaderboard, holding almost twice as many chips as the runner-up Christian Rudolph. It was a fast-paced game, with the players’ endurance being put at stake. Still, it seems that fortune favoured the Australian player who eliminated Mikita Badziakouski and got back in the game, reaching the heads-up play against Christian Rudolph and eventually emerging as the event’s winner. With Michael Addamo winning the 2018 WSOPE €25,500 High Roller event and taking home the first-place prize of €848,702 ($965,750), Christian Rudolph from Germany occupied the runner-up position. Rudolph was awarded €524,532 ($596,872) for his efforts. 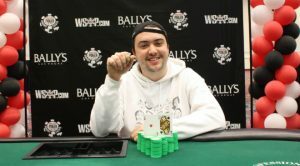 The French poker player Benjamin Pollak remained third, scooping a prize pool portion of €370,219 ($421,277). The fourth position in the final table ranking was taken by Mikita Badziakouski from Belarus, followed by the German poker star Dominik Nitsche. Winfred Yu from Hong Kong ranked sixth, while the seventh and eighth place in the ranking was taken by James Romero from the US and Germany’s Manig Loeser, respectively.